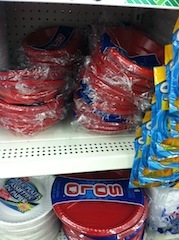 Solo Plastic Bowls & Plates only $0.50 w/ Coupon! NOTE: You may want to bring in a copy of Dollar Tree's coupon policy, just in case since they are new to couponing! Thanks for deal and photo, Dollar Store Deals!